Discover a lifetime of professional opportunity … from Winnipeg to the world. Applied Human Resource Management will help you advance your career or create new opportunities by increasing your intercultural fluency and giving you international work experience. Ideally suited for internationally educated professionals with a human resources career choice, the curricula combines comprehensive human resource management training with targeted language support and valuable on-the-job experience that you can apply here to anywhere. The field of Human Resources provides exciting career choices. Responsibilities of professionals in this field include attracting, motivating and retaining the most important asset of an organization, its employees. Human Resources is often seen as the link between an organization’s management and its employees and provides the knowledge, tools and employee services that make an organization a positive workplace. Completing a Certificate in Human Resource Management (HRM) prepares you for work in this field and is an excellent starting point for a rewarding career path. Additional career success workshops, mentorship opportunities, and a path to professional designation – with an industry recognized association, make Applied Human Resource Management (AHRM) an ideal pathway towards professional success in Manitoba and beyond. If you’re an internationally educated professional with a business management career choice, the curricula will provide you comprehensive management training with targeted language support and valuable on-the-job experience. A minimum of a 2-year post-secondary credential from a recognized institution may be considered. If you have lower proficiency scores, you can receive conditional admission with an IELTS 5.0, but you will have to successfully complete Level 700 in the Intensive English in order to meet the entrance requirements. Strengthen your resume: Gain a University of Manitoba certificate, The Certificate is a Certificate in Human Resource Management), a recognized university credential, and apply for a professional designation with the Chartered Professional in Human Resources (CPHR) subject to their requirements. Ladder into a degree at the University of Manitoba: 24 credit hours of the certificate can be applied towards the Bachelor of Arts: Integrated Studies. 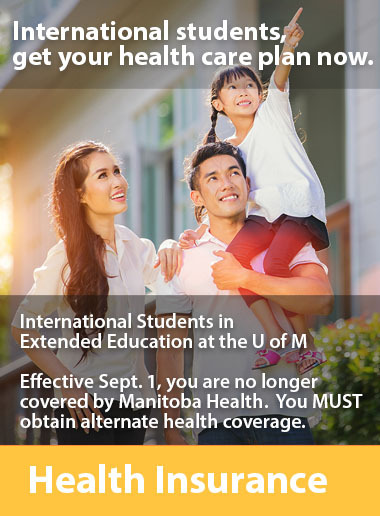 Benefit from the Government of Manitoba initiatives for international students to work and live in Manitoba. To find out more, please check the website of the Government of Manitoba. To find out if you qualify for work opportunities in Manitoba, please also check the Government of Canada website. With a combination of educational components, support services, and work placement, international students will have the opportunity to seamlessly integrate into the Manitoba community. Graduates of the Applied Human Resource Management (AHRM) are eligible to use their certificates in pursuit of a Bachelor of Arts: Integrated Studies. The Letter of Accomplishment credential indicates that you have successfully completed an intensive, focused programing that addresses the educational requirements for a very precise field of study. If your plans change, are you eligible for a refund? The $300 application fee and the $2,000 tuition deposit payable at time of admission are non-refundable and non-transferrable. The remainder of the tuition is fully refundable if you decide to withdraw before the start date. Once started, there is no refund of tuition fees. In exceptional circumstances, Extended Education may consider a refund if an appeal is filed and documentation provided. A translated copy of your academic transcript. Photocopies are accepted for applications however originals are required upon arrival. Transcripts become the property of University of Manitoba and will not be returned. you will be offered admission to the programming you applied for. To reserve your seat, you must make a non-refundable $2,000 tuition deposit within 3 weeks of receiving your admission offer. Upon receipt of your payment, we will issue a Letter of Acceptance to you. If your tuition deposit is not received, your admission offer will expire. One month prior to your start date, the remainder of the tuition must be paid to the University. Take your education to the next level and apply your certificate towards an undergraduate degree. Graduates of the Applied Human Resource Management (AHRM) program are eligible to use their certificates in pursuit of a Bachelor of Arts Integrated Studies degree.